Jonas Sultan of the Philippines shocks the highly rated boxer Makazole Tete in their fight at the Orient Theatre in East London, South Africa last December 16, 2016. Sultan wins the IBF Inter-Continental super flyweight title in astonishing 2nd round KO. It was a great achievement for Sultan. 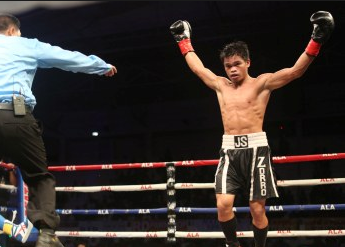 This win will surely put him in the top 20 boxers in the super flyweight division. Sultan improved his record to 12 wins including 8 wins by way of KO while Makazole Tete dropped his record to 15W(11KO)-2L.